Save the Date! GORM Termine 2019! GORM OPEN - VIDEO ! ! ! is taking place in Olszyna (PL) 20 KM behind the german border. 3rd time the legendary race in on the spectacular 15 KM track in Olszyna. in 24 hours a racedistance form 1.200-1.600KM is expectet. The idea of the GORM was, and still is, to get the Dakar Rally bolides on your doorstep. 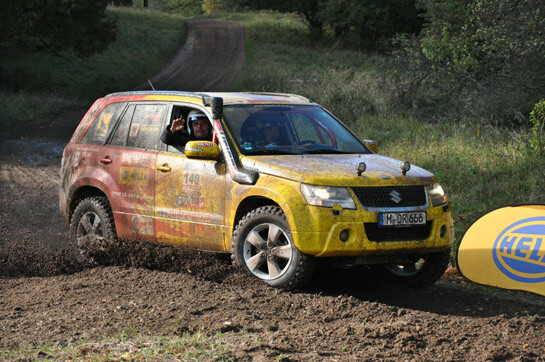 The German off-road rally series had its debut in 2007 with Hella and Toyo being partners of the first hour. The highly competitive series offers the perfect context for robust products. Nowhere more strain is put on the material than here: Water, mud, dust, gravel, stone chips, potholes, undergrowth, and jostling. On the extensive rally tracks the participants have to fight weather and track conditions. Although visibility and traction are very important they have to deal with mud that, in parts, is almost impenetrable when it’s raining and with almost obscure dust when the sun is out. Off-road cars as well as quads and trucks are competing in the three-day rally events. From the beginning, the online magazine Marathonrally.com has been reporting live on the Internet from every GORM racetrack. The 24 h race established in 2009 has been the highlight of the season since its debut. So twice already the teams fought a round-the-clock battle maneuvering their way through the darkness around Schwerin on the 250-hectare (600-acre) terrain. Here, seeing and be seen becomes even more important than when driving through dust and mud - important for successful overtaking manoeuvres. Additional headlights are not just mandatory but a necessary tool to at least get a chance to drive reasonably well off roads in the dark. The new 20 km (12.5 mile) long circuit offers everything that toughens: Water crossing, sand tracks, forest, gravel tracks, steep turns, jump hills etc. During the night, when spectators are making a night of it, the mass breakdown will take its course and by morning half of the teams will be sidelined. In 2010 the teams fought for the overall victory up until the last minute and in the end, the Mercedes team Stensky / Stensky / Grünbeck / Dasinger had a 2-minute lead on the Polaris team Breckwoldt / De Ridder / Köpf. 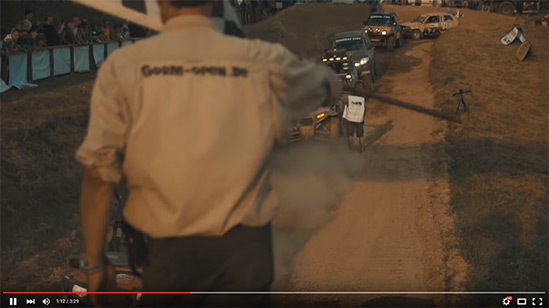 The TV stations N24 and Kabel1 reported in detail on the GORM 24h race; on the Internet there are 120 GORM videos with more than 100,000 hits so far. The 24h race is also a meeting place for celebrities and rally professionals, who are also participating in the race. Everyone who has a vehicle suitable for off-road driving can participate. The prerequisites are a roll-over bar, safety belts, a fire extinguisher in the vehicle, and helmets. A motorsport licence is not necessary. The GORM (German Off Road Masters) is the first Rallye Raid Championship on German ground and, thanks to the cooperation with the DMV (Deutscher Motorsportverband – German motosports association), it has been officially a German Championship since 2009. Group T1 : Prototypes Cross-Country Vehicles 4x4 and two-wheel drive. Group T3 : Improved Cross-Country Vehicles - Lightweight, UTV etc. (max 750KG).